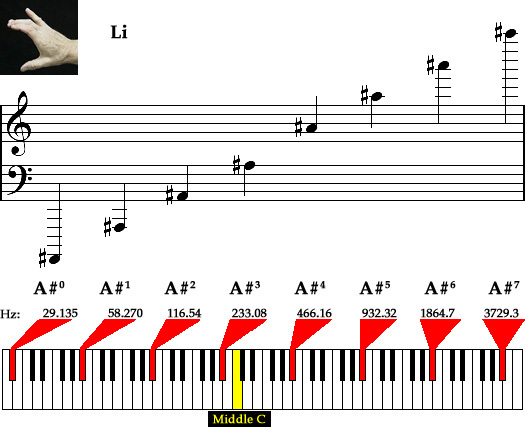 The raised sixth note (submediant) of the C major scale. In solfeggio it is called Li. The frequencies of the audible pitches of A sharp are notated below.